After college Steven attended Northwestern University Medical School. 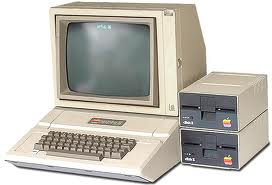 During Medical School an old friend called him and told Steven that he should check out the new Apple II computer. His friend told him that it could do everything that the IBM 1620 could do and in fact it had the same amount of memory, 48K. So Steven purchased the Apple II and learned to program in basic. He also learned machine language as there were many limitations to basic in the early Apple Basic language and one could use small machine language patches easily with Basic. Steven's first project on the new Apple was the design and coding of a complete medical billing system for outpatient psychiatry - his medical practice area at the time. Up until the PC, Word Processing, one of the most pressing needs for business, was extremely expensive. The early Apple systems were lacking in word processing features. In fact that original Apple II was unable to create lowercase characters. 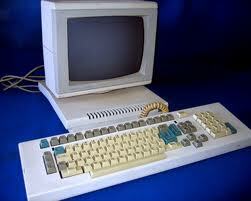 In about 1983, a company named Fortune Sytems Corporation came out with a microcomputer that emulated Wang word processing for a fraction of the price of the Wang system. Fortune used the relatively commerically new Unix system and Unix was a fairly easy platform to code. So Steven Pinkert and a few of his friends started a software development and hardware support company called Integrated Circuit Systems, Inc. The centerpiece of their company was the development of an integrated legal software system. Because the company was inadequately capitalized it was never able to fully complete the software, but the concept and the creativity were there. Steven Practiced medicine in Chicago until l994. Then he decided to change careers and study law. So in 1995 he and his family moved to Miami where Steven studied law at the Uiversity of Miami School of Law. After law school Steven Pinkert decided to also obtain a business degree so he enrolled in the Business School at the University of Miami. It was just after completing his MBA that Steven had the idea to start LawAlumni.com as a network and source of legal clients for he and his fellow law school classmates. Steven knew little about HTML, but he reserched and studied and decided to use Cold Fusion as a database interface and Dreamweaver to create LawAlumni.com. LawAlumni was completed in 2002 and most of Steven's law school classmates signed up as members. However, Steven did not have the time to continue to maintian the site. Now, with the social media movement Steven feels the time is right to redo LawAlumni.com and make it available for all law school graduates. At this time Steven is considering this plan. Steven can be reached at spinkert@pinkertlaw.com or at his office phone 305-788-3900. His practice areas include Patent and Trademark law, Real Estate, Commerical Litigation, Transactional Law, Bar Admissions, and Attorney Grievances. Steven is also a consultant for Green Energy Projects, Large Scale Medical Equipment, and Chinese and Latin American Market Entry.